Iron-deficiency anaemia is really quite common amongst women and is caused by a decrease in the number of red blood cells. With limited red blood cells, the body struggles to produce haemoglobin, the substance which helps the cells transport oxygen to the rest of the body. If you are low in iron, you may feel weak, tired, moody and even be experiencing hair loss and sleep issues. I don’t know about you, but having had issues with Iron levels in the past, I am super aware of trying to include more iron in my diet. People wrongly assume you can only get iron from meat sources. Spinach is one of the BEST sources of iron (think Popeye!). 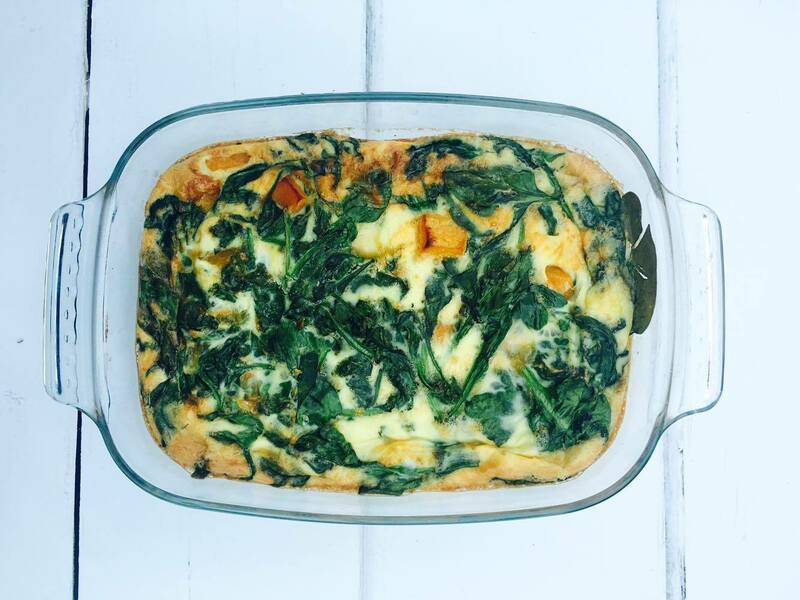 I have jam-packed this dish with spinach for a great iron boost, hence the name! This is one of the simple but delicious recipes from my May Guilt Free Kitchen Club. Hope you enjoy! add onion and cubed sweet potato and butternut squash to the pan with coconut oil, stirfry for a few minutes until sweet potato is softened. If you liked this recipe and want ‘done for you’ meal plans and recipes, you can purchase the May Kitchen Club Pack HERE. Find out more about the monthly subscription to the Guilt Free Kitchen Club HERE.